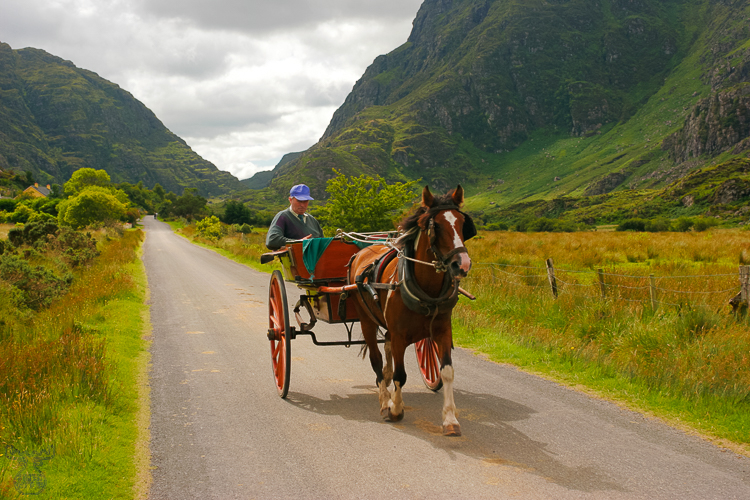 The horse coaches are the second most used means of travel in the Gap of Dunloe - hiking is the winner here, and happily cars are coming quite a bit later in the row. The valley is around 10km long and therefore perfect for a walk, passing three picturesque lakes. In the highest lake, called "Serpent Lake", you can find all Irish serpents, banned there by the holy St.Patrick- so a legend tells.